The Journal of Business Ethics publishes research papers concerning ethical issues related to various field of business and management. The journal analyzes ethical business practices and moral dilemma related to accounting, marketing, organizational behavior. 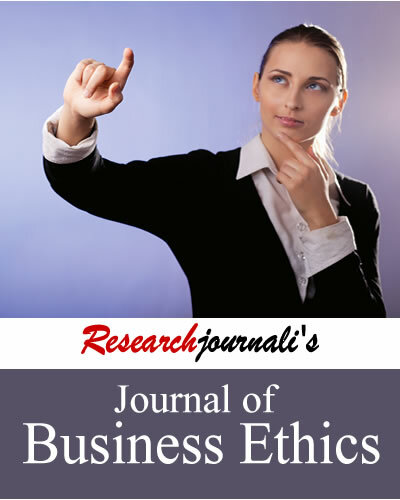 Researchjournali's Journal Of Business Ethics (RJOBE) publishes research papers concerning ethical issues related to various field of business and management across the world. The journal promotes a dialogue between various interested groups and benefits a broad audience having interest in the field of business ethics.The journal targets audiences including universities, business schools, government agencies, non-government organizations, business community and consumer for understanding business ethics. And the journal publishes research papers in following areas of business ethics.